Some aircraft of other scales that caught my eye. A really nice 1/48 Fouga Magister. Kitty Hawk "Harvard" in 1/32 scale. A neat NACA Hellcat in 1/48. Not often you get to use white on a F6F. Quite a colourful 1/48 Hurricane. The paperwork for this Meteor NF. 11 said it was painted gloss white to keep it cool in the desert. Is this an authentic scheme? A Planet Models resin NA-50. Hasegawa's new 1/200 P-8A Polaris. An RCAF Sabre in 1/48. A trio of Spitfires in 1/48. The lower two are RCAF and built using an IPMS Canada decal sheet. Nice job on this 1/144 Vulcan. A beautiful RCAF PV-1 Ventura. Last Saturday was the annual IPMS Seattle Spring Show. Held once again at the Renton Community Center, there were about 800 or so models entered. (The large room was packed with modelers and at times it was hard to negotiate the vendor area due to all the people.) Vendors were set up around the contest area and this year there was a small separate overflow room. (All I bought were two sets of Barracuda wheels and a decal sheet...I'm such a good boy these days.) Entries were of the usual high quality and it was a fun way to spend a few hours. Here are a few 1/72 selections that caught my eye. Is this an authentic scheme for the A-10? It sure looked attractive. The MiG-21 Analog testbed for the TU-144 SST wing. A very nice job on this AZ Breda kit. A nicely done Matchbox Fury. The Airfix EE Lightning appears to be a very popular kit with both a silver and green example on display. I liked this low-viz Tiger MiG-23. A very nice PR Mosi. An wartime RCAF Mustang Mk. IV. Each year IPMS Seattle hosts a Modelfy where a certain kit is chosen and it must be built as something other than what was intended. This year the A-10 was chosen. I especially like the A-10 X-Wing. A really nice A-1 Skyraider. You don't often see a Storch in Laos markings. A really well done CF-101 Voodoo. 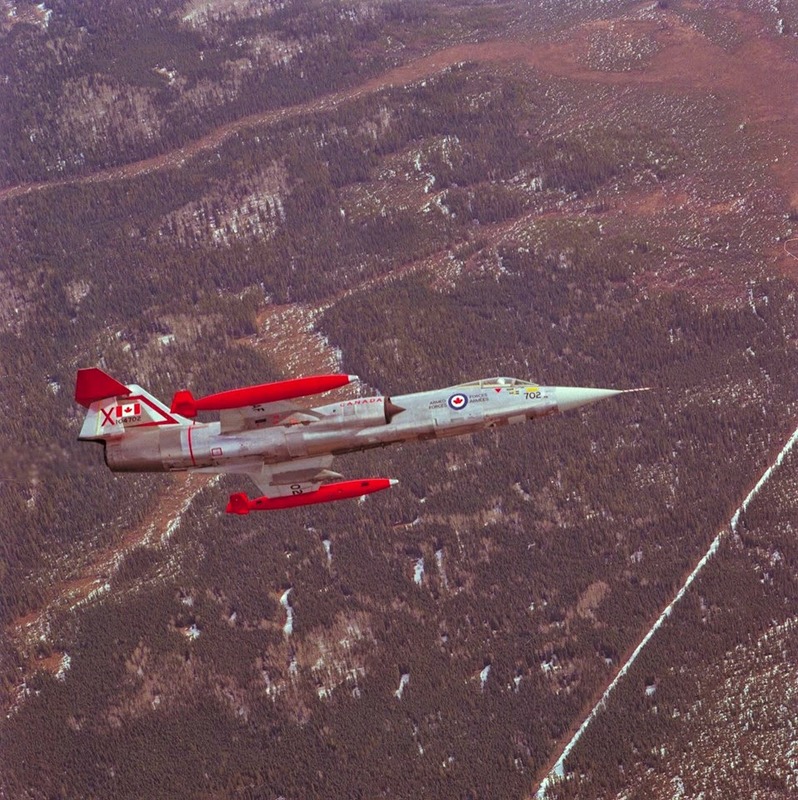 Here is a neat set of photos of Canadair CF-104 Starfighter 104702. 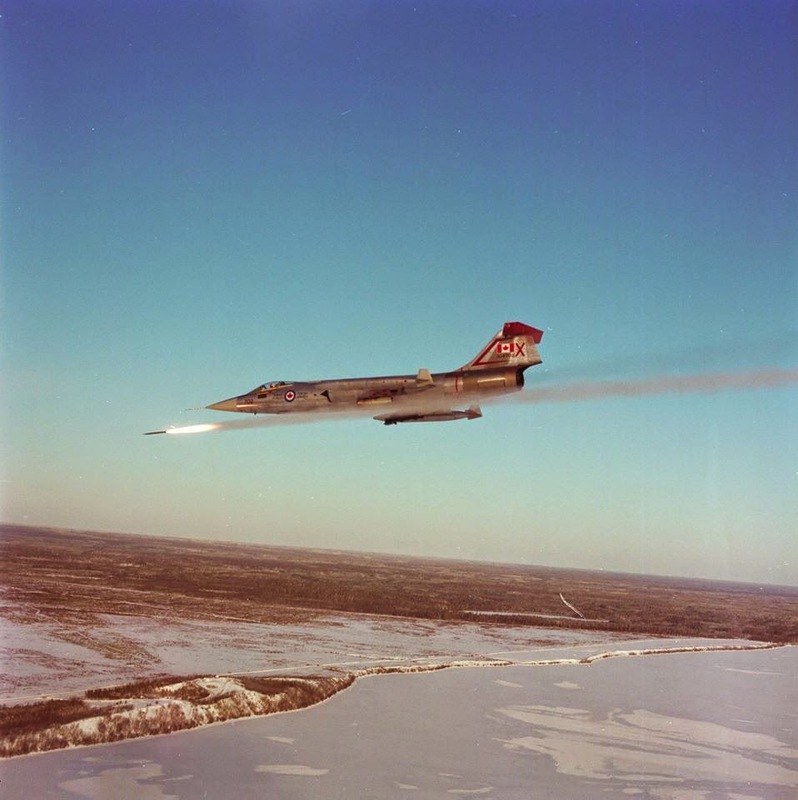 Accepted by the RCAF in 1961 as 12702, the airplane spent its whole career flying with CEPE (Central Experimental and Proving Establishment), 448 (Test) Squadron, and their successors AETE (Aerospace Engineering Test Establishment). 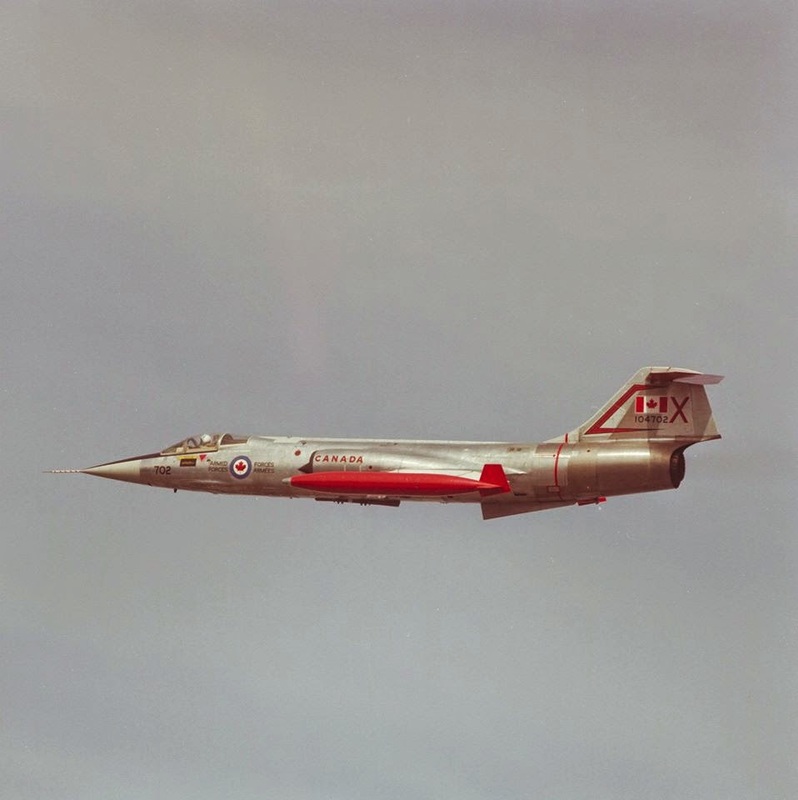 It had a brush with fame when it flew as a chase plane for Lockheed built Starfighter 12700 piloted by Wing Commander Robert A. “Bud” White, who set the Canadian altitude record of 100,110 feet on December 14, 1967. Renumbered as 104702 after unification in 1968, the X on the tail was AETE's "squadron" marking. The aircraft was slightly bent during arrest hook trails, but the CO of AETE Col. Dave Wightman claimed that that the tail markings made it fly faster. Looking at these photos, it is hard to disagree! 702 was struck off strength in 1983 and now spends it time sitting on a pole at Joe Hoffner Memorial Park at Grand Centre, Cold Lake, Alberta. Modeler's Note: There have been many Starfighter kits issued in 1/72 over the years. Most modelers consider the Hasegawa kits issued in the late 1980s as the best kit of the type, but I would counter that the ESCI kit from the early 1980s (also issued by AMT/ERTL and Italeri) kit is well worth considering. The Hasegawa kits strike me as overly complex and I enjoy the simple construction of the Italian company's Starfighter. The Fleet Model 21 is one of those minor, but fascinating, Canadian aviation projects of the pre-World War Two era. 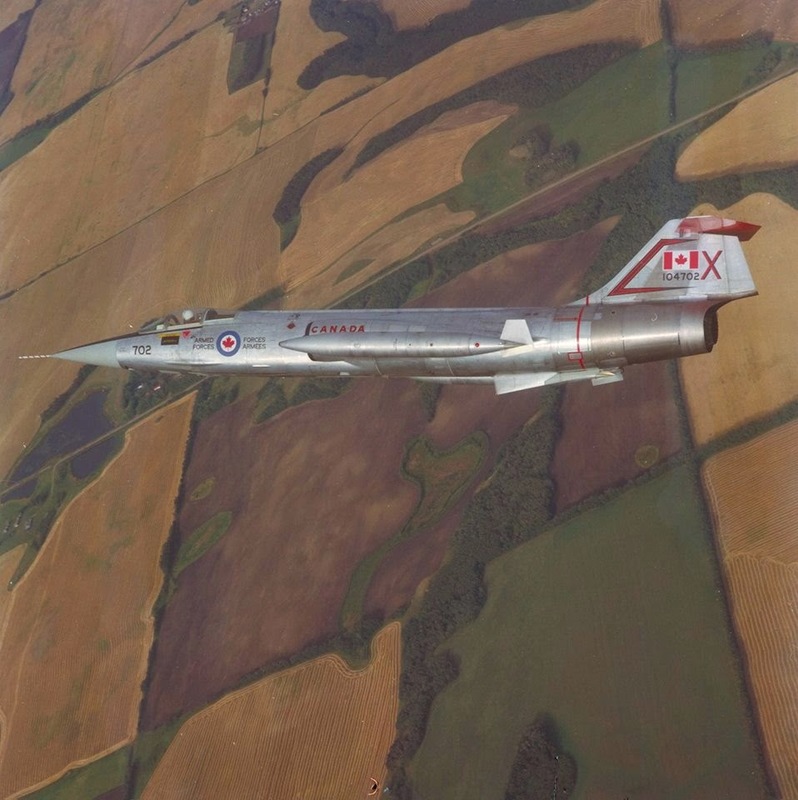 I became enamoured by the type after seeing one at a Hamilton Air Show in the early 1980s. 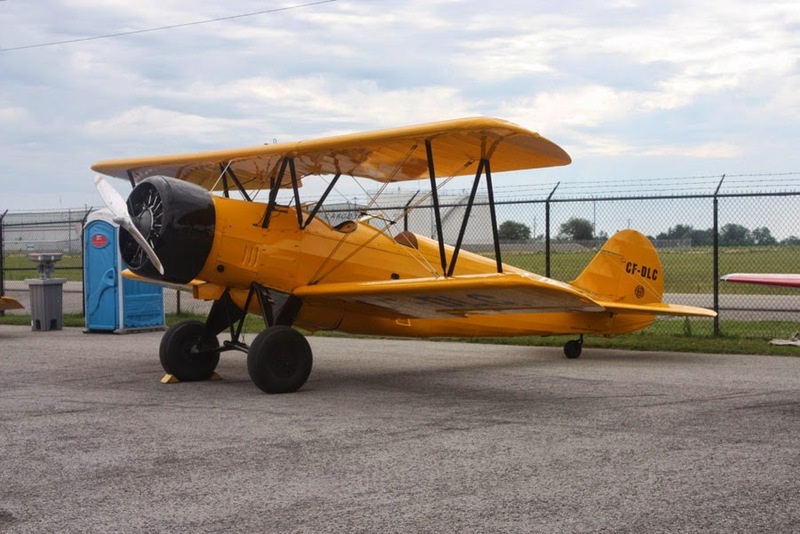 It just oozed 1930s biplane grace and power and in my young mind looked very much like a biplane Harvard. 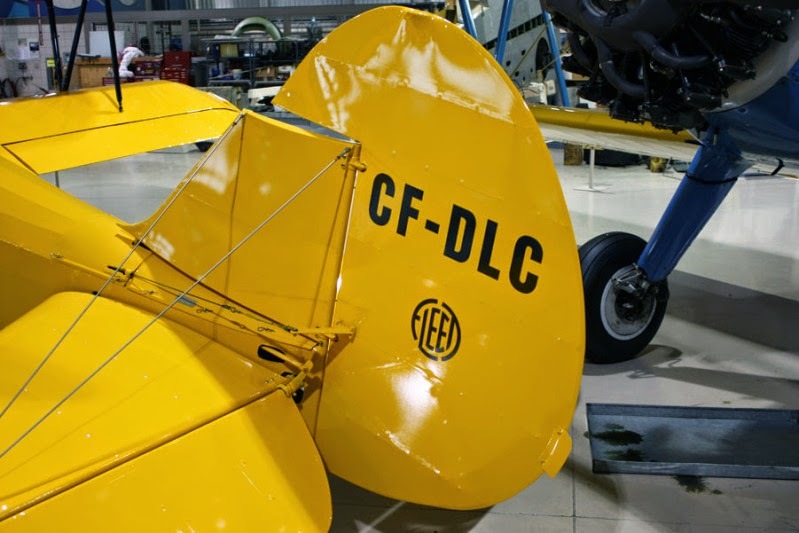 It turns out that the Fleet 21 was a Canadian built version of the Consolidated Model 21, also known by the USAAC as the PT-11, PT-12 and/or BT-7 depending on the engine. 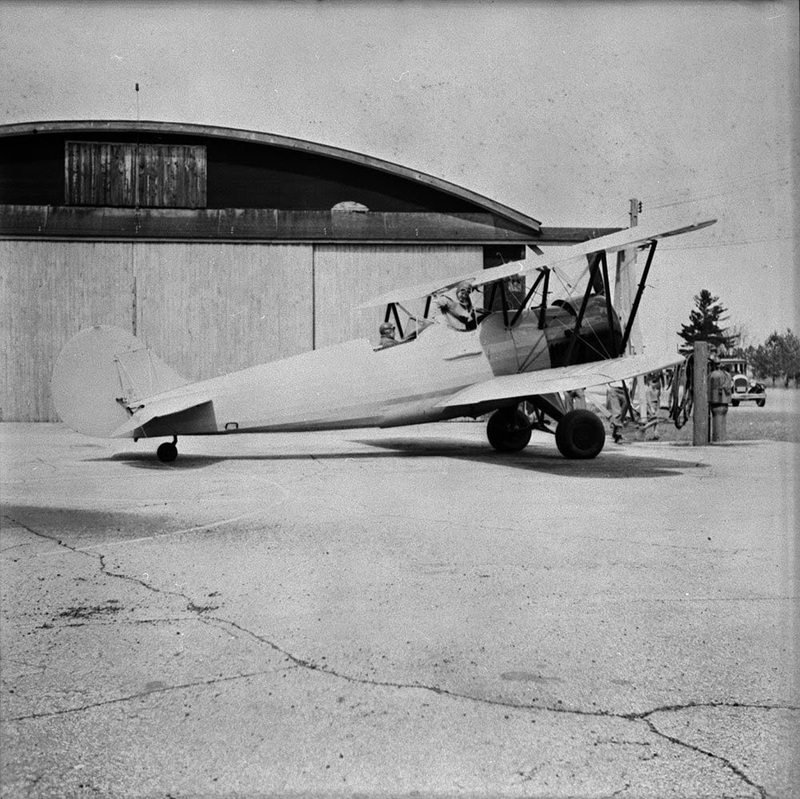 Eleven aircraft were built in Canada with a Pratt & Whitney Wasp Junior engine. One interesting feature is that the Fleet 21 had a deeper belly than the PT-11, making the aircraft look beefier than the more delicate Consolidated predecessor. Of the eleven aircraft, designated Fleet Model 21M, ten went to Mexico. Armed with three .30 guns, you have to wonder what military use these hefty biplanes offered the Mexicans. However, the Fleet 21 did find some work to assist with the war effort. Fleet shared their Fort Erie location with the Irvin Air Chute Company who supplied parachutes for the BCATP and the RCAF. The contracts required that each chute be dropped from an aircraft prior to acceptance by the RCAF. Therefore, the Fleet was converted into a single seater, a drop bay was opened up under what would have been the rear cockpit, and it was loaned to Irvin during the war. During that time, thousands of parachutes were dropped from the Fleet. I have heard in passing that the Fleet carried RCAF roundels at some point in its life. Not so long ago, I came across the photo below which appears to show the drop test Fleet with roundels, but again, no distinguishing marks. Sadly, the quality is such that it is hard to draw many conclusions from the photo. Modeler's Note: No kit of the Fleet 21M has ever been issued. It also appears that the Consolidated PT-11 has yet to attract any model manufacture's interest. One for the resin guys, someday?